With cakes from across the globe and in every colour imaginable it certainly was a feast for the eyes for last month's 'Colour me pretty' themed Love Cake. If you missed the round up you can find it here. This month the longest day of the year in the UK occurs plus the official start of summer. 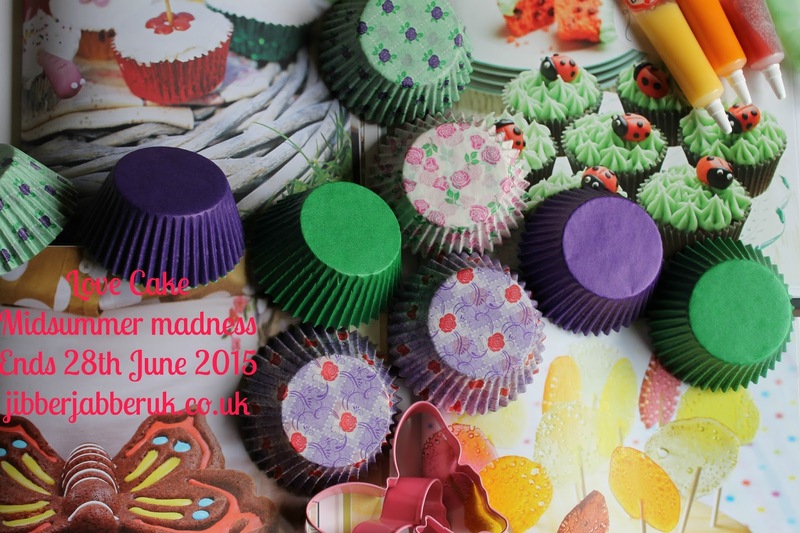 Therefore the theme for this month is MIDSUMMER MADNESS. You can go mad with wacky summer themed decorations or perhaps use some seasonal summer ingredients. Think of the events that make up the English social season from opera to horse racing and of course the strawberries and cream at Wimbledon. If you're wanting a touch of the madness take some inspiration from Mad Hatter's Tea Parties and unusual or hidden ingredients. Be as inventive as you like! 1. Please make sure your entry conforms to this month's theme of MIDSUMMER MADNESS. 3. Enter the URL (web address) of your post into the Linky at the bottom of this post. Once the link closes on Sunday 28th June 2015 at 23:55 no more entries will be accepted.